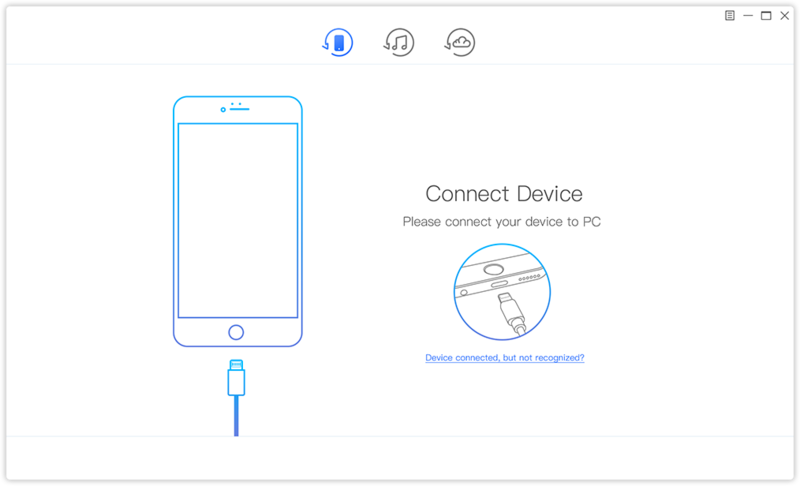 [prMac.com] Hong Kong - Joyoshare Studio, a professional multimedia software developer, recently launched a special pre-sale offer for its new product - iPhone Data Recovery at up to 70% off. Meaning you'll get the first-class iPhone data recovery software at the lowest price you never imagined. Getting this big discount is very easy. You only need to share this campaign to your Facebook or Twitter, and then submit your email address to acquire it. Once the software is officially unveiled, you'll get a notice to buy the product with the exclusive 70% off coupon code. Joyoshare iPhone Data Recovery is the most reliable data recovery tool that can help all iOS users to retrieve any lost file from iPhone, iPad and iPod touch in just seconds. With this smart app, you can get back missing data in any kind of situations, no matter whether it's deleted by accident, get lost when upgrading iOS or because of system crash, virus attack, jailbreak failure, device broken, etc. As an ultimate iOS recovery solution, Joyoshare iPhone Data Recovery has strong ability to recover more than 20 types of lost data, including SMS, iMessages, contacts, call logs, photos, videos, voicemail, attachments, notes, calendar, WhatsApp/Viber/KiKi chats and attachments, and many more. Thanks to the advanced technologies adopted by Joyoshare iPhone Data Recovery, it's able to recover even encrypted backups, making it the best iPhone data recovery tool with highest recovery rate in the market. It offers three recovery modes for you to restore the lost/deleted data to the utmost extent. You can recover lost data directly from the devices, or from iTunes or iCloud backup files. You can choose proper data recovery mode based on how you lost the data. For example, even if your iOS devices are missing or get stolen, your data can still be easily retrieved as long as you have backups on iTunes or iCloud. Recovering missing files on iPhone/iPad/iPod touch is extremely simple with Joyoshare iPhone Data Recovery. The whole recovery process takes 3 simple steps only: connect your iDevice to the computer, choose recovery mode, then scan and recover the selective data you need to revert back to your iOS device. That's all. Besides, Joyoshare iPhone Data Recovery ensures 100% safe and trustworthy recovery process, during which only you can access your private account. Plus, while you are restoring the lost or deleted data from iPhone, iPad or iPod touch, the existing data on your device will never be overwritten. "The most outstanding feature of Joyoshare iPhone Data Recovery compared with other similar programs is its ability to retrieve the recovered files one by one in real time. Specifically speaking, you'll preview each lost file in original form and get it back immediately while the recovery is still in progress. That makes Joyoshare is the unique and fastest iPhone Data Recovery since currently other competitive products can only recover the files after the whole scanning finishes, which takes a really long time if you have a large backup of data on iPhone." said Robert, the R&D director of Joyoshare. According to the last testing, Joyoshare iPhone Data Recovery is fully compatible with all the models of iOS devices running latest iOS 11 or lower, ranging from the oldest iPhone 4 to the newest iPhone X as well as all kinds of iPad and iPod touch. It will be available on both Windows and Mac OS. The special promo is a time limited event which will last around 2 weeks, starting from July 24th to August 5th. It's a one-time offer from Joyoshare for this powerful iPhone data recovery software. Once you got the 70% coupon code, you are expected to buy the official release with only $15 or less. That's really an attractive price for such kind of program that's commonly sold around $50 or more normally. To join the pre-sale, simply visit the promotion page. Then share the event to your friends on Facebook or Twitter with the sharing buttons on the page. Once done, input your email address to acquire the 70% off coupon. Keep that special code and get back when you received notification email from Joyoshare so that you can buy the official version with the exclusive discount. Now, grab the one and only chance to pre-order Joyoshare iPhone Data Recovery with the biggest discount from the official promotion page. Currently Joyoshare iPhone Data Recovery is still in beta version. The public version will come soon after the pre-sale. Once it rolls out, all subscribed users would receive a notification from Joyoshare. So you don't need to worry about you'll miss anything. One thing you need to keep in mind is that the 70% off coupon code would be valid only within the first month when Joyoshare iPhone Data Recovery is released. It will expire after 30 days since the official release of Joyoshare iPhone Data Recovery. Joyoshare is a world-leading multimedia software developer and provider specialized in video field for years. 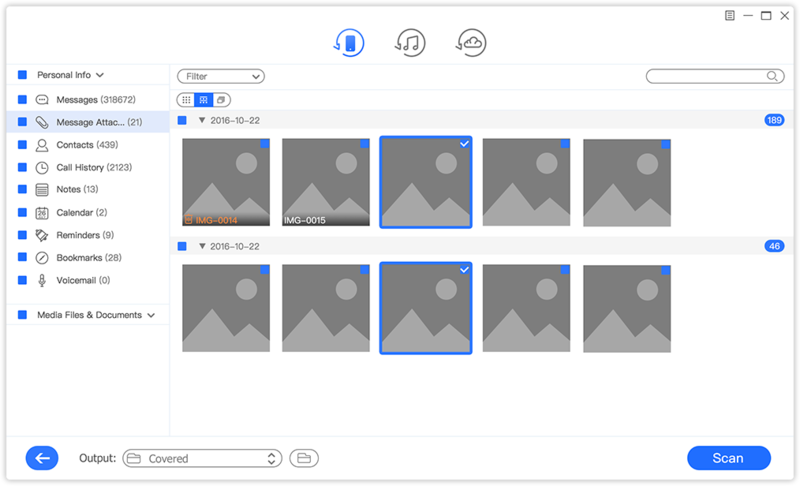 With advanced technologies and professional R&amp;amp;amp;amp;amp;amp;D team, Joyoshare is dedicated in developing the best video and audio solutions, including video converter, audio converter, video editor, media cutter, HEIC converter, screen recorder, iOS solutions, etc. to customers all around the world. With professional and high quality service, Joyoshare has won high reputation from millions of registered users over the past years. All Material and Software (C) Copyright 2018 Joyoshare Studio. All Rights Reserved. Apple, the Apple logo, OS X, macOS and Macintosh are registered trademarks of Apple Inc. in the U.S. and/or other countries. Other trademarks and registered trademarks may be the property of their respective owners.